Oral anti-diabetic agents form an important therapeutic strategy in the management of diabetes, after lifestyle modification. There are several new agents available, like dipeptidyl peptidase 4 (DPP4) inhibitors and sodium- glucose cotransporter 2 (SGLT2) inhibitors have been approved for use as monotherapy when diet and exercise are inadequate and when metformin is not tolerated, and can also be utilized as an add on to other glucose-lowering agents, including insulin. The therapeutic, pharmacokinetic and safety profiles of these agents are different from the older agents. Hydroxychloroquine (hcq) and bromocriptine have been recently cleared for use and show beneficial effects in control of blood glucose and HbA1C levels. 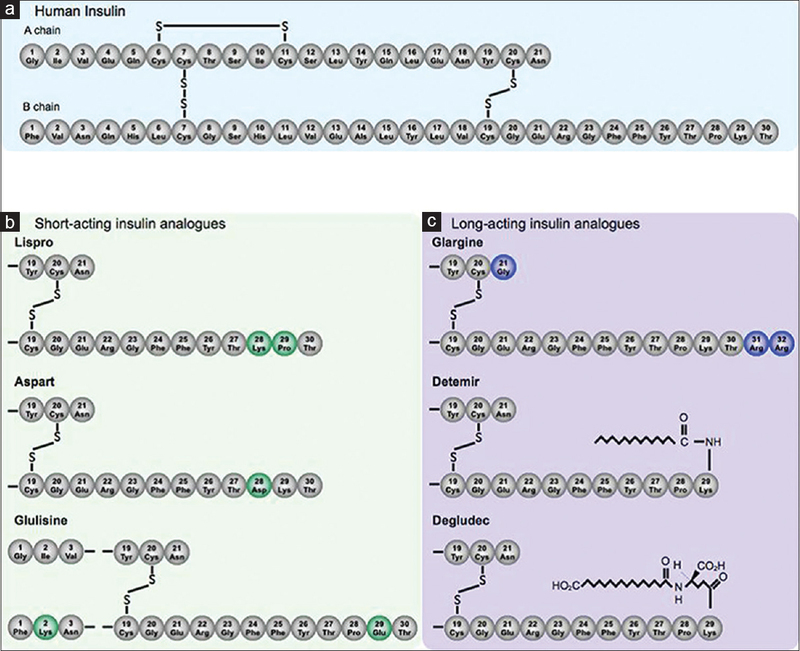 Insulin therapy is the cornerstone of treatment in patients with type 1 diabetes mellitus (DM) and advanced type 2 DM. Over the years, insulin treatment has advanced from animal insulin to recombinant insulin with more efficiency and fewer side effects and from short-acting conventional insulin to ultrashort and long-acting insulin analogs to mimic various phases of physiological insulin secretion. Various insulin delivery systems from conventional subcutaneous insulin injection using insulin syringe to pen device, subcutaneous insulin infusion pumps, and inhaled insulin to artificial pancreas are now available. 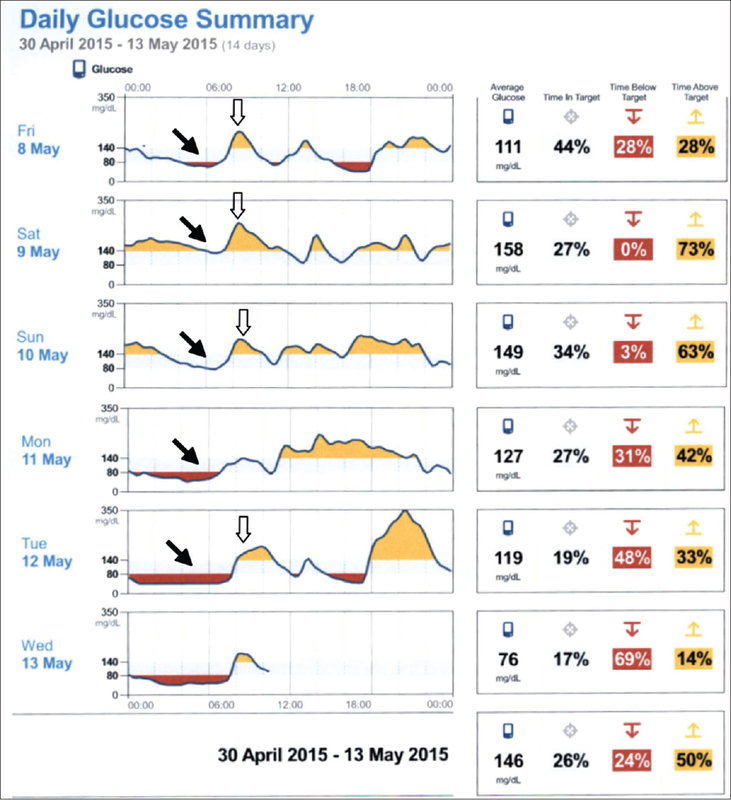 Proper insulin injecting techniques and patient education on self-monitoring of blood glucose and insulin dose titration are of utmost importance for effective insulin therapy. 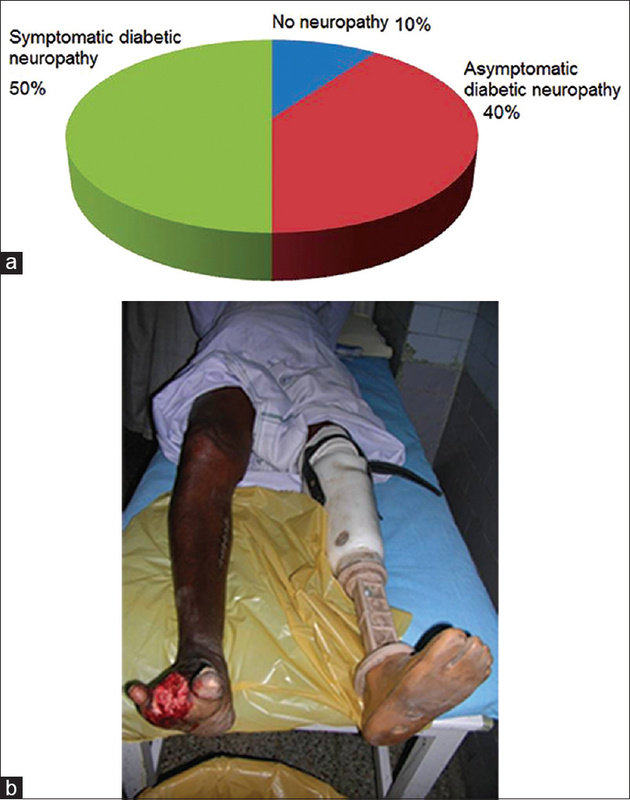 Neuropathy is the most common symptomatic complication of diabetes mellitus (DM) and accounts for a large share of morbidity and hospitalization associated with the disease. The symptoms of neuropathy in diabetes may present with somatic, autonomic, motor or sensory symptoms. Symmetric distal sensory polyneuropathy is the most common form, affecting the distal lower extremities and hands in a “glove and stocking” pattern. Cardiac autonomic neuropathy can, in particular, contribute to 6% of sudden deaths (painless myocardial infarction) among those with long-standing diabetes. Neuropathy whether sensory, motor, or autonomic may lead to the formation of fissures or calluses which lead to ulceration. Tight glycemic control is the only strategy which has demonstrated to show prevention and progress of diabetic peripheral neuropathy and autonomic neuropathy. Early treatment of diabetic neuropathy should, therefore, include tight glycemic control. All patients should be screened for diabetic neuropathy starting at diagnosis of type 2 DM and 5 years after diagnosis of type 1 DM and at least annually thereafter. An annual comprehensive foot examination is a must for all patients with diabetes and consists of examination of foot and footwear, neuropathy screening, vascular assessment, and musculoskeletal assessment of feet. This would help in identification of risk factor predictive of ulcers and amputation. Diabetes is characterized by hyperglycemia due to deficiency or impaired action of insulin. The overall goal of diabetes management is to achieve as near normal glucose levels as possible, without affecting quality of life, and without causing significant hypoglycemia. Monitoring the impact of treatment and detection of abnormalities is therefore a crucial component of the management strategy. Plasma glucose and glycated hemoglobin are the most common tools used in monitoring response to treatment and each has its advantages and disadvantages. 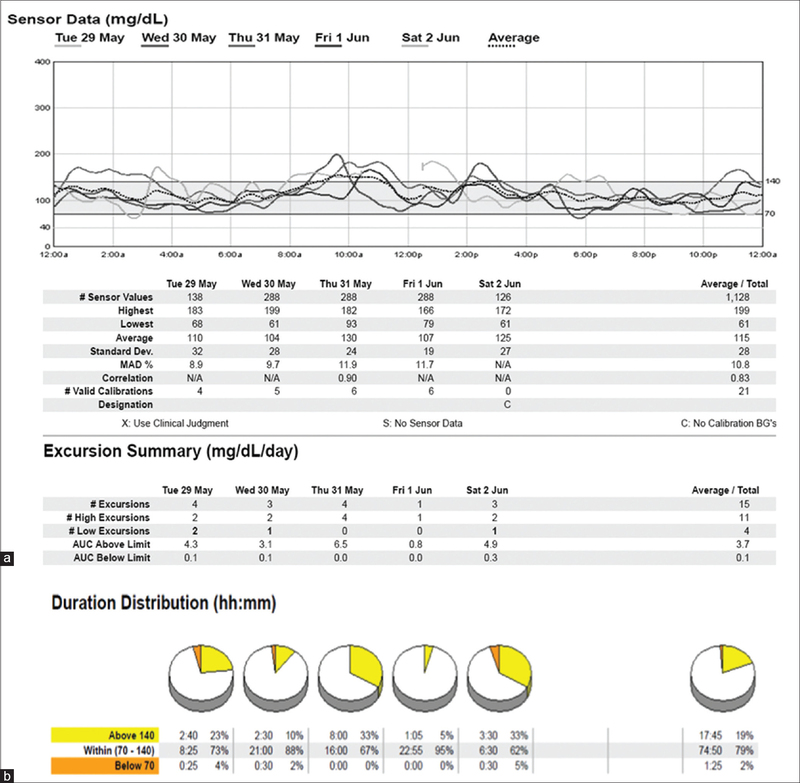 There are newer continuous glucose monitoring systems like the flash glucose monitoring system that provide an almost real-time recording of plasma glucose levels and give a better understanding of the dynamics of glucose fluctuations and the factors responsible. Diabetic ketoacidosis (DKA) is an acute, major, life-threatening complication of diabetes that mainly occurs in patients with Type 1 diabetes, but it is not uncommon in some patients with Type 2 diabetes. Fluid resuscitation, insulin administration, potassium administration, and correction of the underlying precipitating cause constitute the four pillars of treatment. 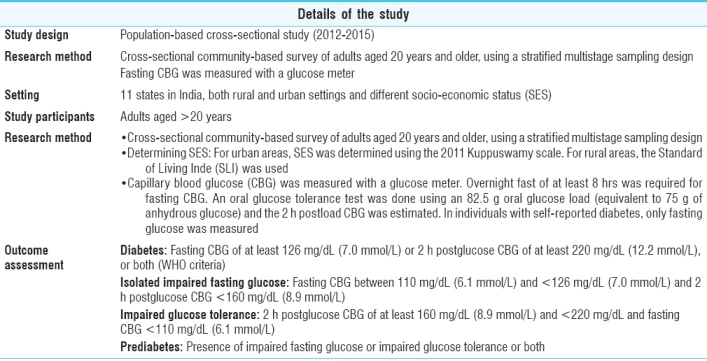 Hyperglycemic hyperosmolar state (HHS) is classically seen in elderly patients with Type 2 diabetes. Although less common than diabetic ketoacidosis, HHS is associated with a higher mortality rate. Hypoglycemia is a condition characterized by an abnormally low level of blood glucose and has significant clinical consequences if left untreated. 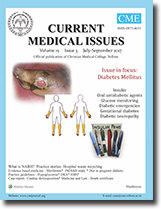 It is a potential adverse event in the treatment of diabetes mellitus. Causes of hypoglycemia are varied, but in diabetic patients, it is most often iatrogenic. Medication changes or overdoses, infection, dietary changes, and changes in activity levels are some of the important reasons for a person to develop hypoglycemia. Prompt diagnosis and treatment of hypoglycemia is an essential component of the management of diabetes. Evaluation of the cause is important, especially if there are recurrent episodes of hypoglycemia. Gestational diabetes melliturs is defined as carbohydrate intolerance of varying severity, detected for the first time in pregnancy. Since the Indian population is at moderate to high risk, screening is recommended for all pregnant women. Peri-conceptional glycemic control is the hallmark of optimal management of pregestational diabetes. 80% of the women with gestational diabetes can be treated with MNT and only 20% need additional therapy. Of the women requiring additional therapy, only 25% need insulin therapy. Oral hypoglycemic agents have been shown to be comparable with insulin in treating women with moderate gestational diabetes and can be safely used. Gestational diabetes mellitus (GDM) is a severe threat to maternal and child health. It is associated complications adversely affect the mother and the child. One in seven births is affected by gestational diabetes. Lifestyle intervention has a positive impact on glycemic control and pregnancy outcomes of GDM. Adequate nutrition during pregnancy ensures good health for the mother and the growing fetus. There is an increased need for calories, proteins and vitamins, and minerals to meet the demands of increased metabolic activity during this period. The composition of each meal is crucial in attaining glycemic control. A low-carbohydrate diet (60%–65%) with adequate proteins (15%) and fats (20%–25%) is beneficial in attaining acceptable postprandial sugars. 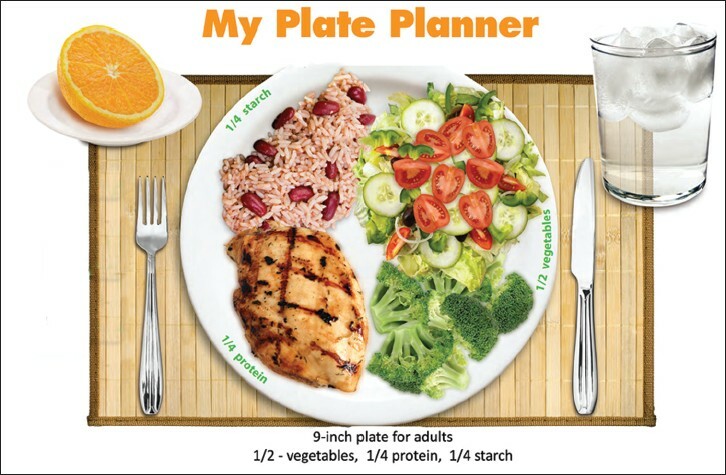 “My Plate Planner” is a simple method for remembering the type and quantity of food to be consumed with each meal. Regularity of meals with frequent snacking of healthy foods ensures acceptable glucose homeostasis throughout the day. Background: In both developed and developing countries, the proportion of people over 60 years of age is growing faster than any other age group as a result of longer life expectancy due to improved health care. As a result, emergency department (ED) visits are on the rise. Materials and Methods: This retrospective observational study was conducted in the ED of a large tertiary level hospital between September 2014 and December 2014. 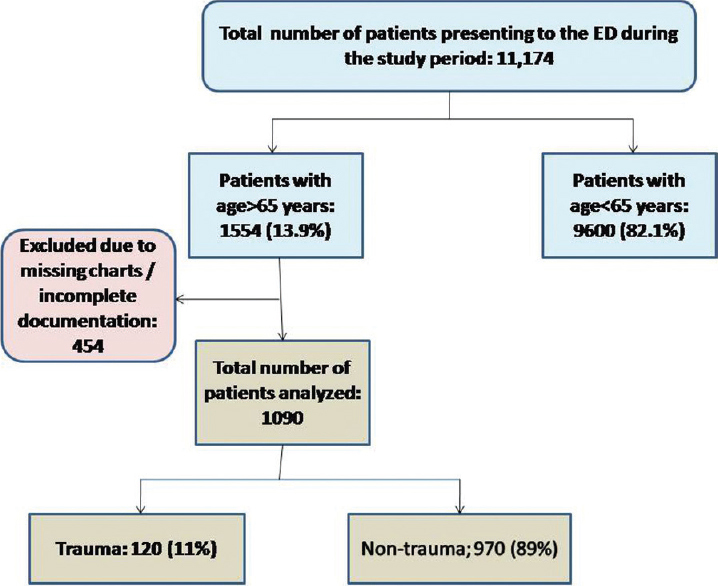 All patients >65 years presenting to the ED were included in the analysis. Results: During the study period, 1090 geriatric patients comprised 13.9% of the ED admissions. The mean age of the patients was 74.2 ± 20.32 years. There was a male predominance (65.4%). The most common presenting complaints were breathing difficulty (28%), fever (21.6%), vomiting (14%), chest pain (11.5%), abdominal pain (11.5%), trauma (11%), giddiness (10.4%), and altered sensorium (10%). The distribution of the most common organ systems involved are as follows: Cardiovascular system (18.7%), respiratory system (15.8%), trauma (13.9%), genitourinary system (13.8%), neurological system (12.3%), skin and soft tissue infections (6%), and others (25.1%). Among the respiratory conditions, acute exacerbation of asthma/chronic obstructive pulmonary disease was the most common (61.2%), followed by pneumonia (28.9). More than half (51.5%) were discharged from ED, 47.5% (518 patients) were admitted to the hospital, and 0.91% (10 patients) expired in the ED. A further 64 patients expired during the hospital stay. The overall inhospital mortality among the geriatric emergencies was 6.8% (79/1090). The mean length of hospital stay was 8.06 days. Conclusion: The admission profile among this geriatric population showed that cardiorespiratory conditions are the most common emergencies, followed by trauma. ED of India should be aware of this demographic profile and be prepared to handle these emergencies efficiently. Quality has become an important buzzword for the current generation of healthcare providers. Most hospitals and healthcare providers are differentiated and evaluated according to their organization performance and quality. 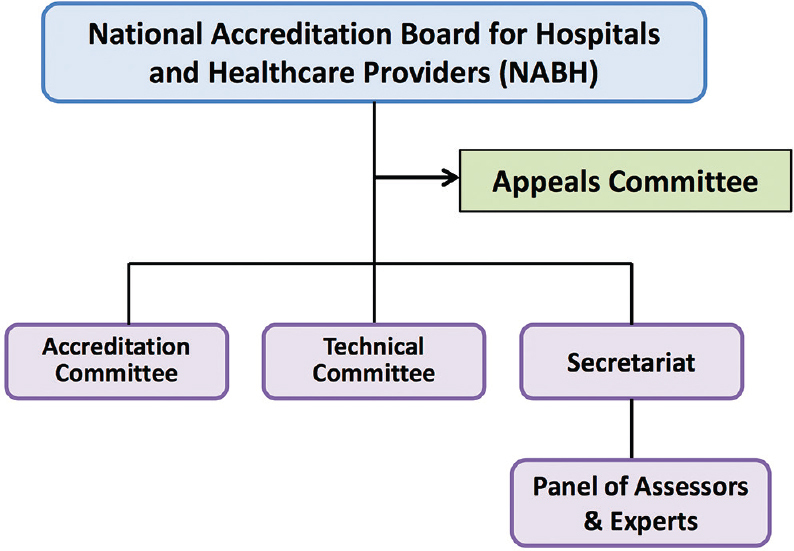 National Accreditation Board for Hospitals and Healthcare Providers (NABH) is an integral board of Quality Council of India, established to operate accreditation program for healthcare organizations/institutions. Accreditation is a public recognition awarded to healthcare organizations which fulfill the standards laid by NABH through an independent external assessment conducted by qualified team of assessors. Cardiac dextroposition is the horizontal displacement of the heart into the right hemithorax. 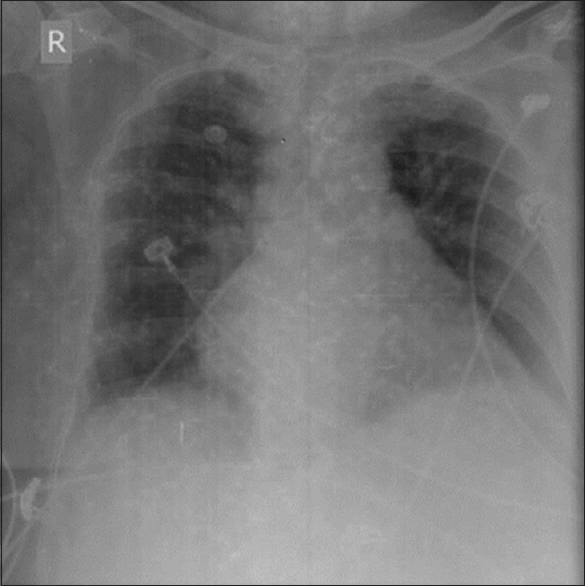 We present a case with an unusual cause of cardiac dextroposition. A 75-year-old, morbidly obese woman on regular follow-up for diabetes, hypertension, and ischemic heart disease presented with complaints of a persistent cough. Her chest X-ray showed elevation of the left dome of the diaphragm and shift of the mediastinum to the right which was a new finding as compared to her previous chest X-ray taken in April 2012. 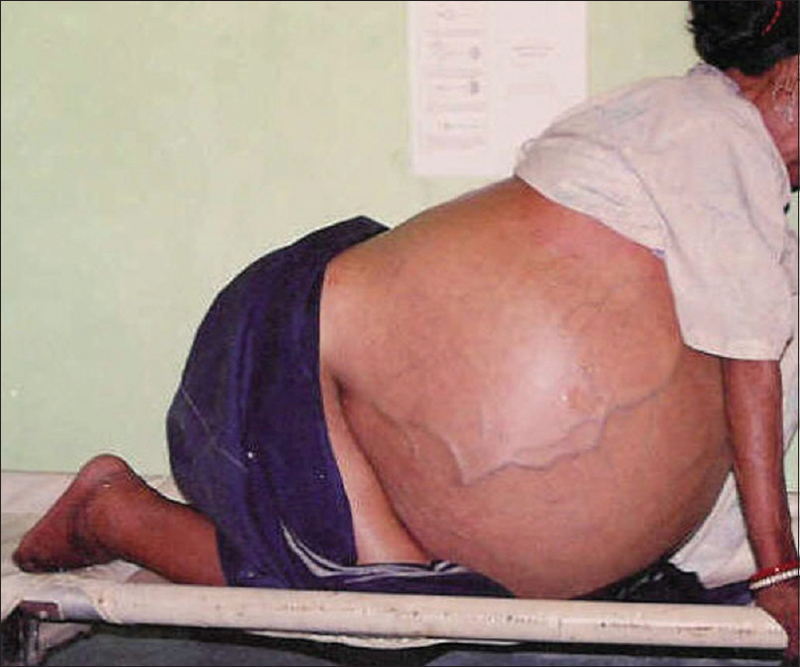 Subsequent radiological examination revealed the presence of a well-defined, fat-containing mass in the left hypochondrium displacing the stomach, spleen, and transverse colon downward. She was taken up for laparotomy, and a 2 kg well-circumscribed intraperitoneal tumor was excised from the left hypochondrium. The biopsy showed a well-differentiated liposarcoma. New-onset cardiac dextroposition is usually secondary to pathology in the lungs or the pleura or the diaphragm. 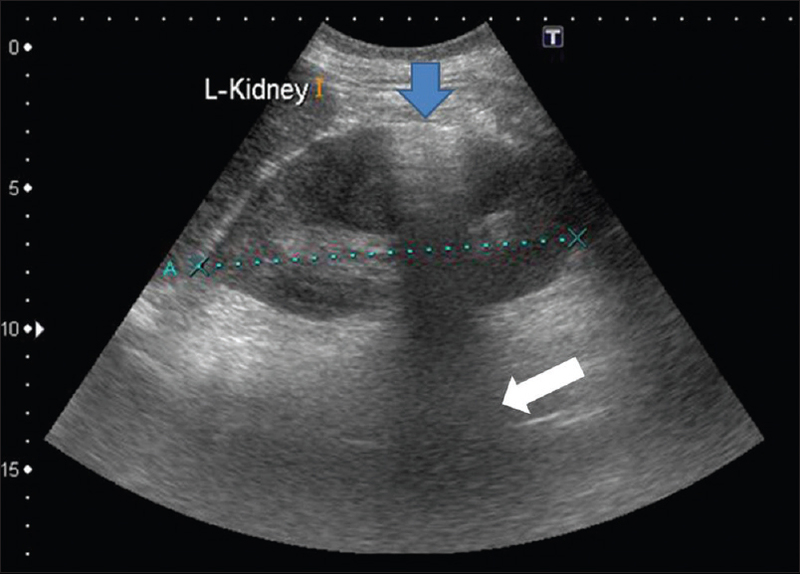 An intra-abdominal tumor causing cardiac dextroposition has not been reported so far. Recycling of waste produced by a hospital is an essential component of hospital management. The volume of nonmedical waste, in the form of organic and non-organic materials, is often much greater than the volume of medical waste generated by a large hospital. Recycling this nonmedical waste is a much more efficient, environmentally friendly and economical alternative to disposal by dumping or other methods. 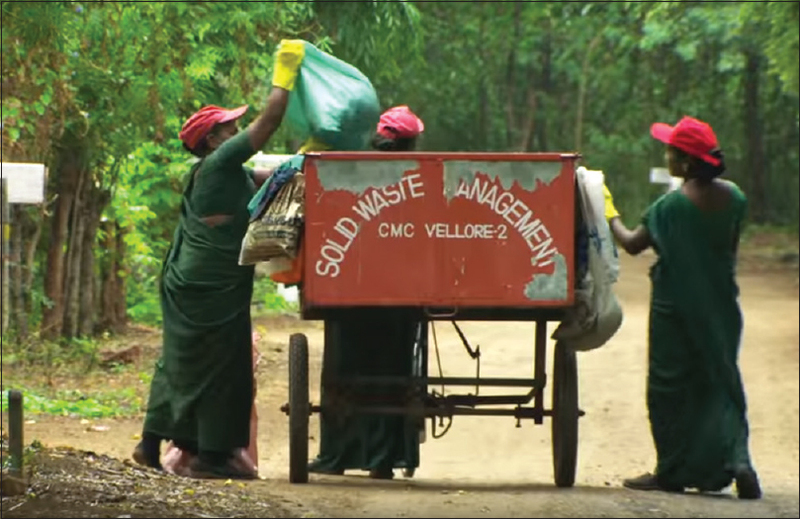 The recycling project of Christian Medical College and hospital, Vellore, has been managing the large amounts of nonmedical waste from the hospital for over a decade and this can be emulated in hospital settings of a similar or smaller size.